The DeKalb County Treasurer would like to remind all mobile home owners that Illinois law requires a current registration form be on file for each mobile home located in the State. After purchasing a newly-moored mobile home, or moving into an existing mobile home, new owners have five (5) business days to file a mobile home registration with our office. 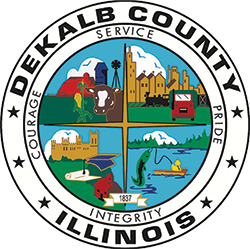 If you are not sure you have an updated registration on file, call the DeKalb County Treasurer’s Office at 815/895-7112 during regular business hours. We are open Monday through Friday, between 8:30 a.m. and 4:30 p.m., except holidays. When you call, please provide your name and the site address of the mobile home.